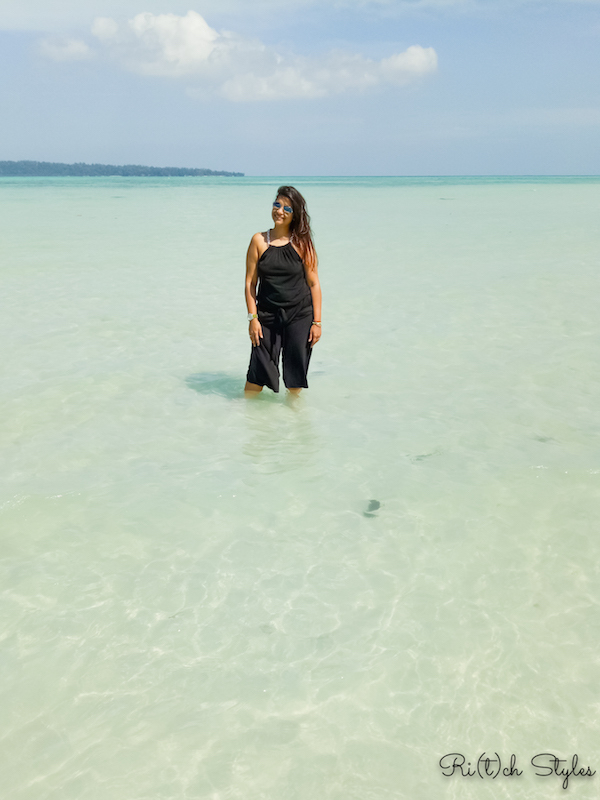 Ri(t)ch Styles : Indian Fashion, Beauty, Lifestyle and Mommyhood Blog: Thekkady Tales with Club Mahindra! 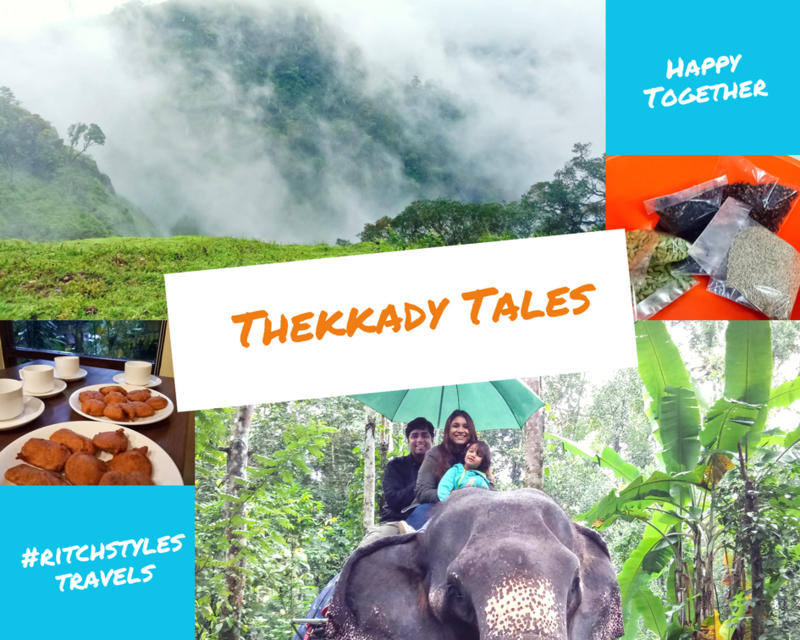 Thekkady Tales with Club Mahindra! 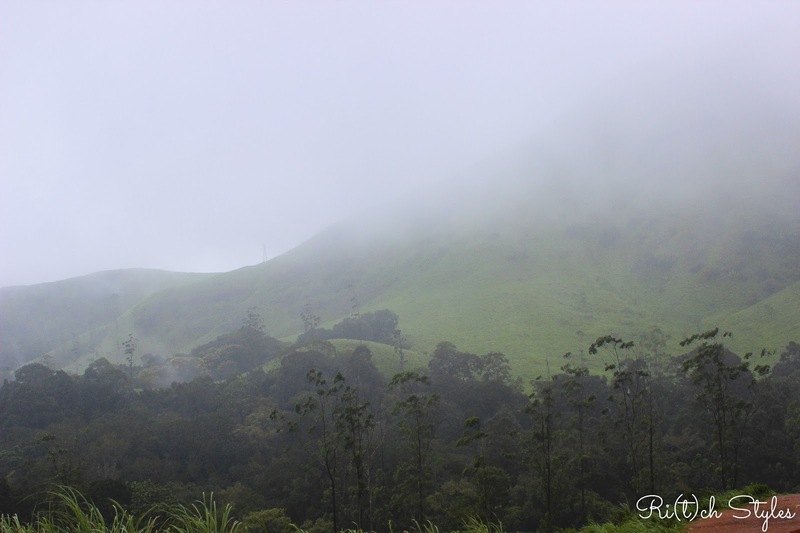 After our fascinating time in Munnar, we were super kicked about moving on to our next destination - Thekkady. My knowledge of Thekkady was limited to the Periyar Widlife Reserve and I was looking forward to seeing that and more! 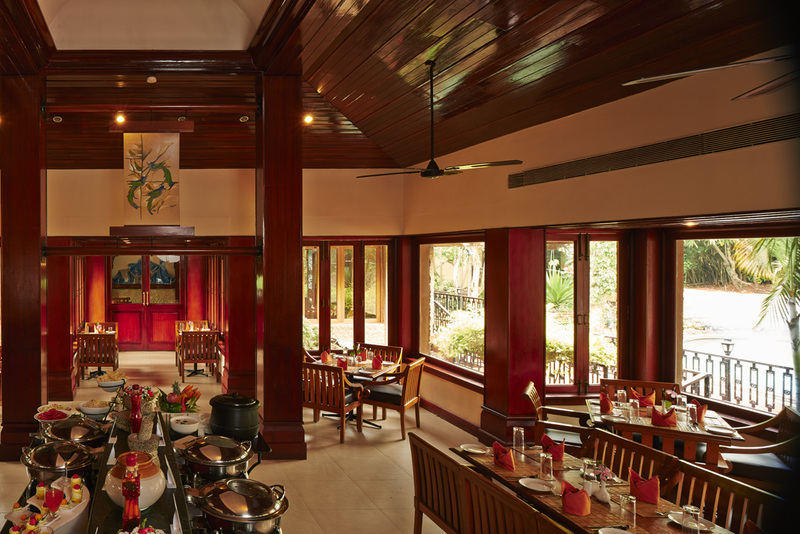 Post a lovely breakfast, we said our goodbyes and thanked the staff for such a memorable stay at the Club Mahindra Resort at Munnar. 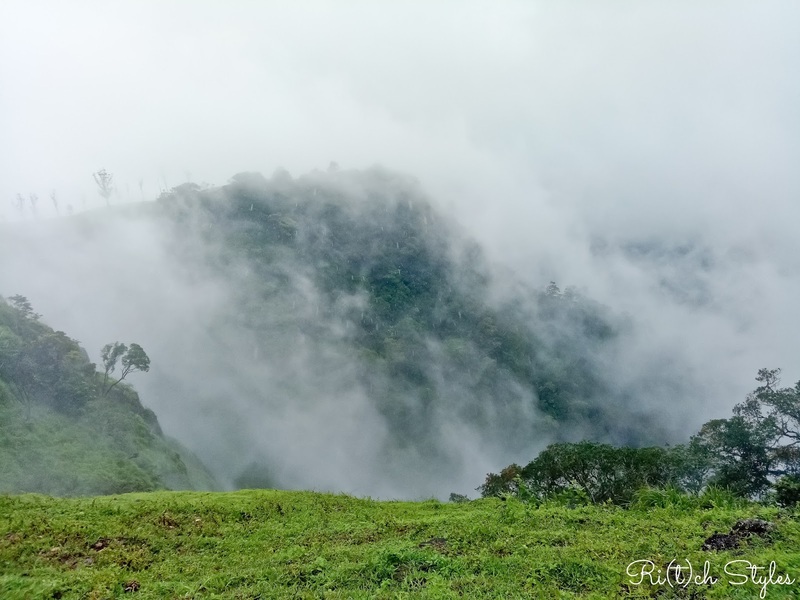 The first part of the drive to Thekkady is through the beautiful tea gardens of Munnar and the scenery brought back pleasant memories of the stay for a while. Slowly the scenery changed from tea gardens to dense trees, and a substantial bit of the journey to Thekkady is through a winding road lined with spice plantations and coffee trees. 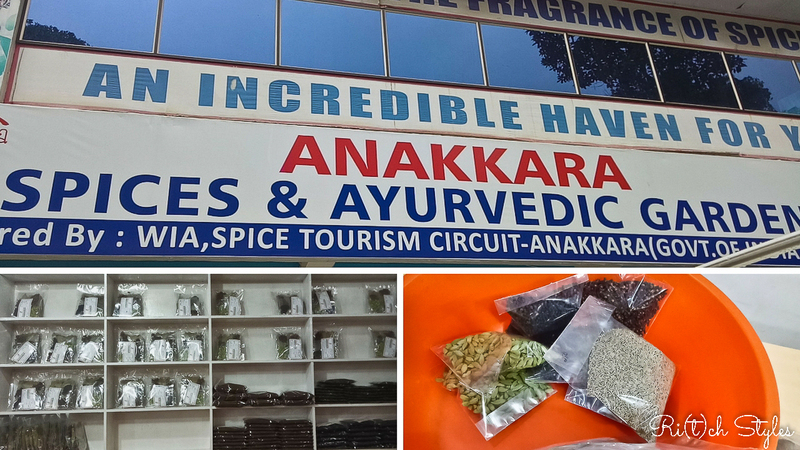 Our gracious hosts - the Club Mahindra team told us that a tour to one of the spice gardens is a must do and that they love picking up spices for their family every time that they come to Thekkady. 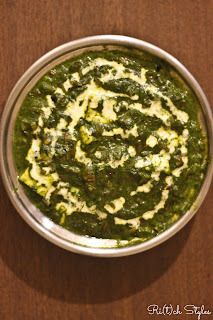 A tip that we kept top of mind! The check-in into our studio apartment was quick! 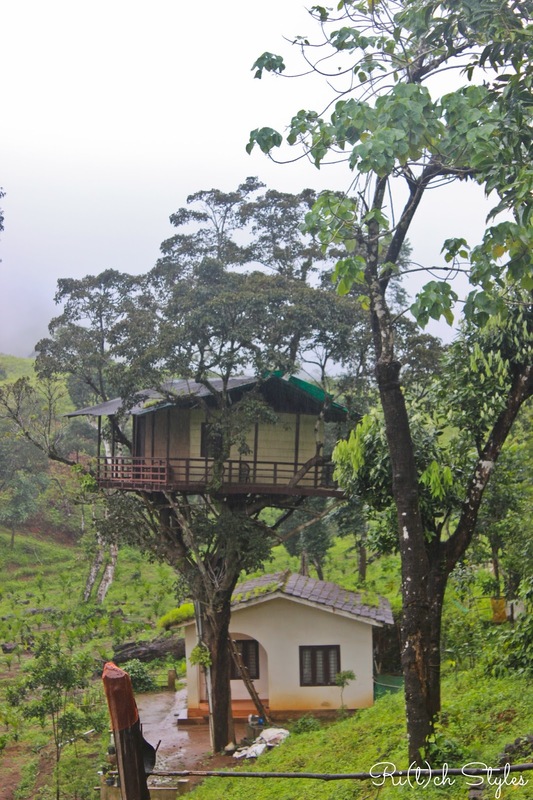 Once again like the Munnar property, it was absolutely comfortable for a family. 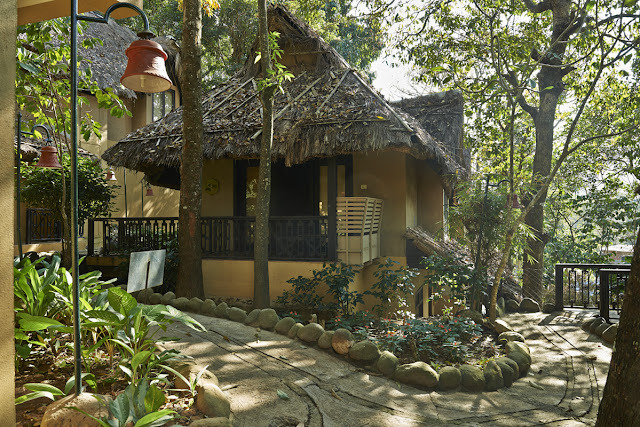 The exteriors are built in traditional Indian ‘machan’ style with thatched roofs, and clean lines and modern architecture are the key elements of the interiors. The cute dining corner with benches was where we spent most of our time in the room, while we pulled up the blinds on the full length window by it's side to enjoy the rain and view outside. Once the check-in was done, it was time for lunch at the resort's restaurant 'Periyar Room' - so apt! We were quite hungry, but since the drive had also shaken up our stomachs, we had a simple and light meal. 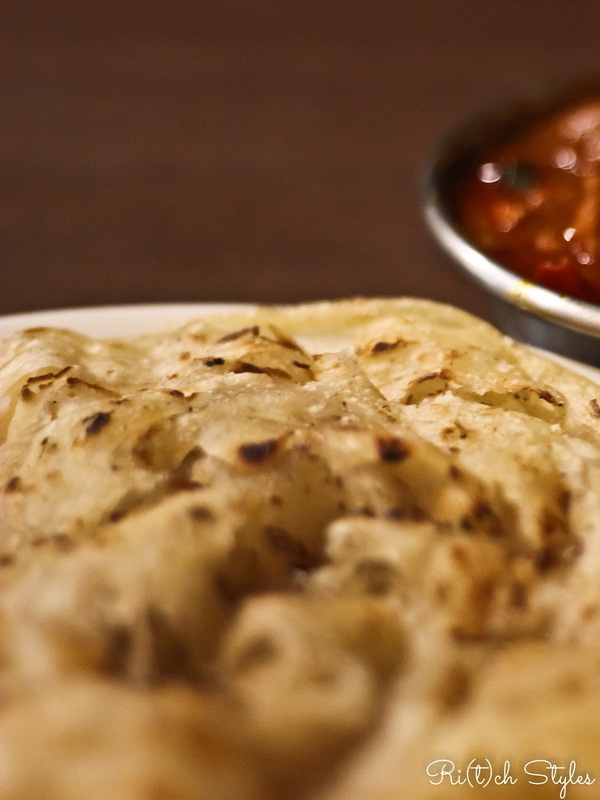 Nevertheless, trust the team at Club Mahindra to even make the simplest of meals special with their service. 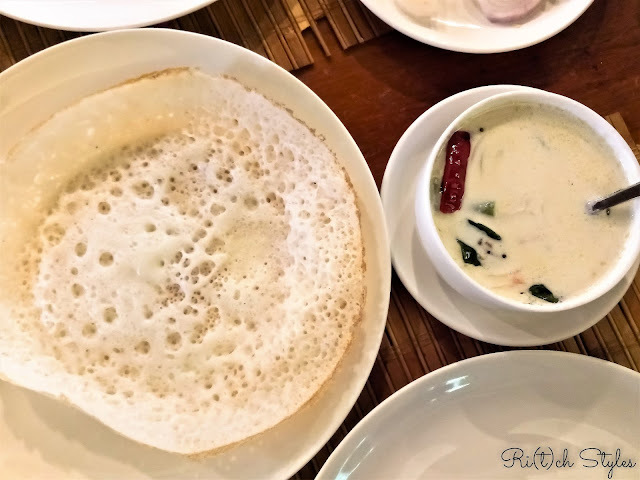 There was a mix of local delicacies served to us, but I decided to stick to the Kerala staple - Appam and Stew - which the chef there called "Kerala's Culture - One bite at a time". 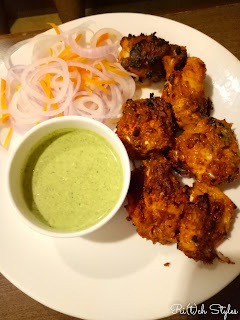 Staying light was also imperative as post lunch we were once again headed for off roading but this time the Thekkady style at the Periyar Widlife Reserve. 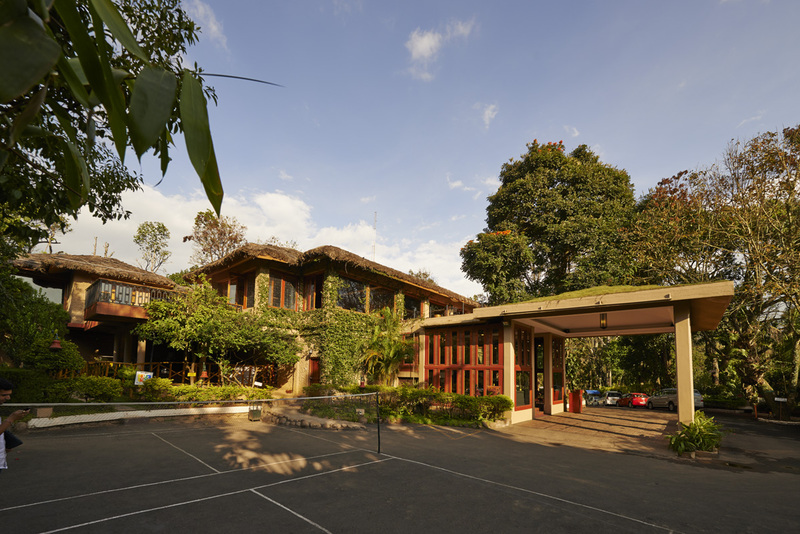 The Club Mahindra Thekkady's Activity Desk had arranged the rest of the day for us and it started with the Sathram Jeep Safari. Since it was raining we had a cover on the jeep, but on a non rainy day, it is an open air Jeep Safari. The terrain in this safari was very different from the one at Munnar. It was rugged and we went through streams as well. 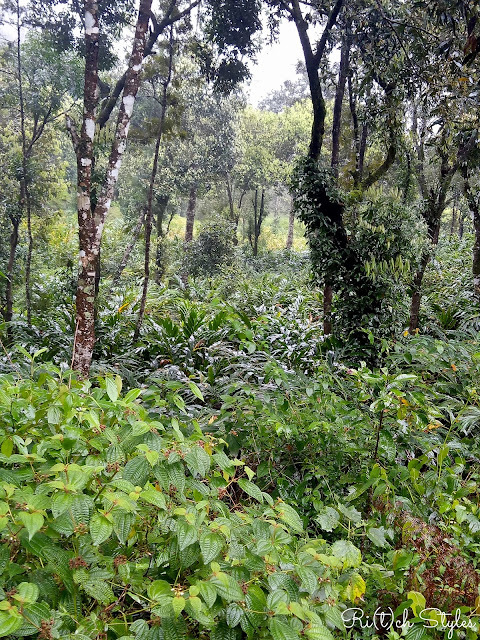 We were constantly surrounded by the Sabrimala hills, and forests and at certain points there even were Adivasi(tribal) villages, wild spice plantations and tea estates. 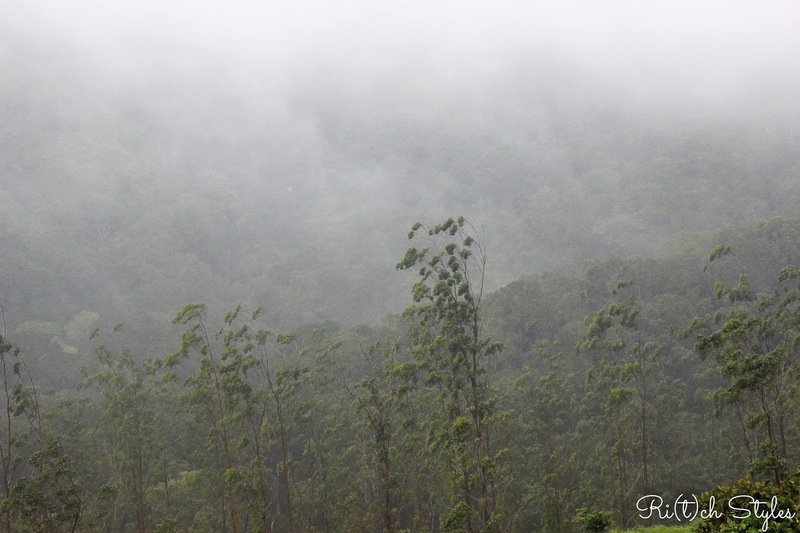 The guide/driver took us to some beautiful viewpoints, and time and again we were transported into a dreamy world. We got some great shots as the clouds, rain and the wind played with each other! 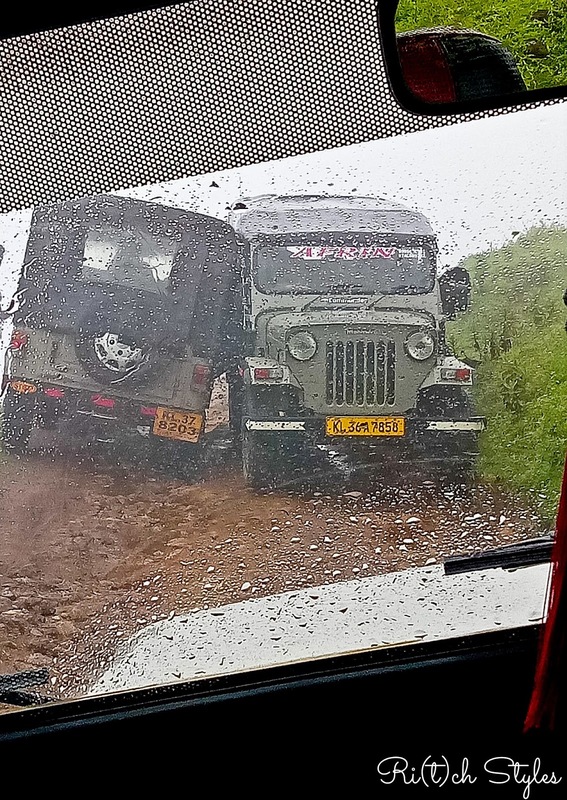 Most of the route had deep tyre marks and there were times when two jeeps were not able to cross each other. In fact the highlight of the safari was a point where the jeep ahead of us and our jeep got entangled with another jeep, with none of us having any more space to adjust on either side. With some forward and backward movement we finally got loose and moved ahead to the beautiful point that our guide wanted to show us. I mean anything could have happened at that moment and it was quite scary with no place even to get off! 🙈 Exciting none the less and totally worth the effort! We ended the Sathram Jeep Safari with coffee at a local coffee stall. The drive was refreshing and we wished it had lasted longer. Next stop was Elephant Junction where we were to take an elephant ride through a spice plantation. 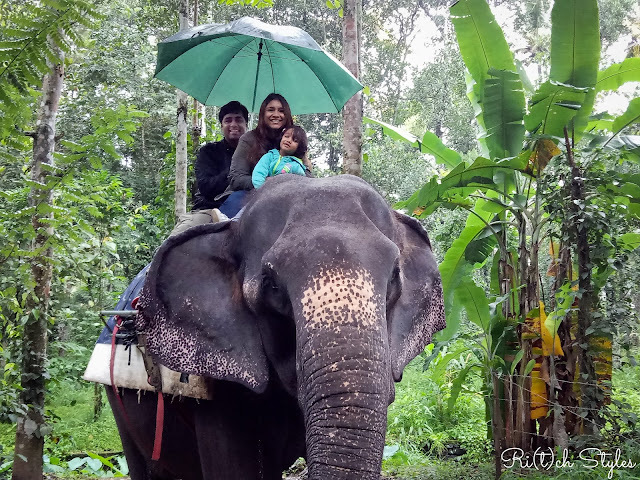 It was also going to be Aryaa's first elephant ride. It was so much fun, Aryaa went from being super excited on seeing the elephants from a distance, to becoming a cry baby when she finally had to sit on them, to getting super excited again as soon as she got comfortable sitting on top. ‘Kaveri' our gentle ride was very disciplined and gave us a great tour. One has the option to have a bath with the elephants as well, but due to the weather we decided against it. After a very exciting time we returned to the resort and decided to just chill post that. Since it was tea time it was also the right time for pakoras. 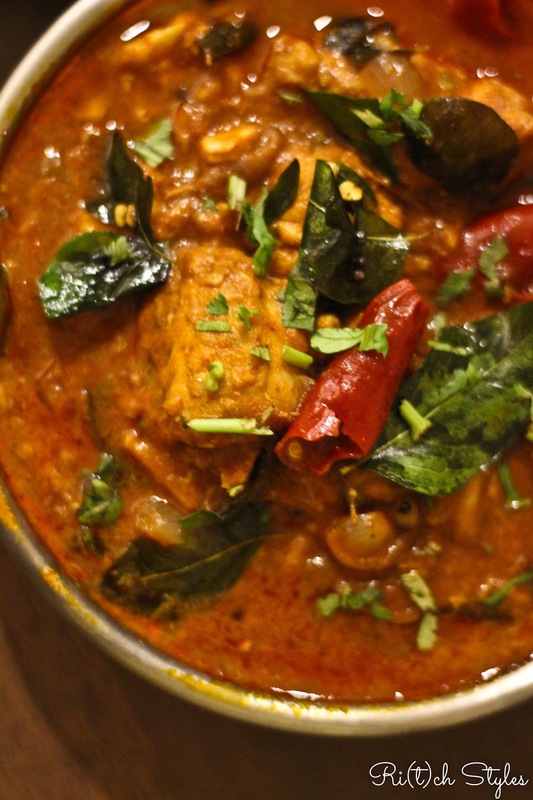 What better soul food when it rains! We perched purselves on the benches by our full length window and it was an evening of 'Chai pe Charcha' on varied topics with the Club Mahindra team with whom we had bonded really well. 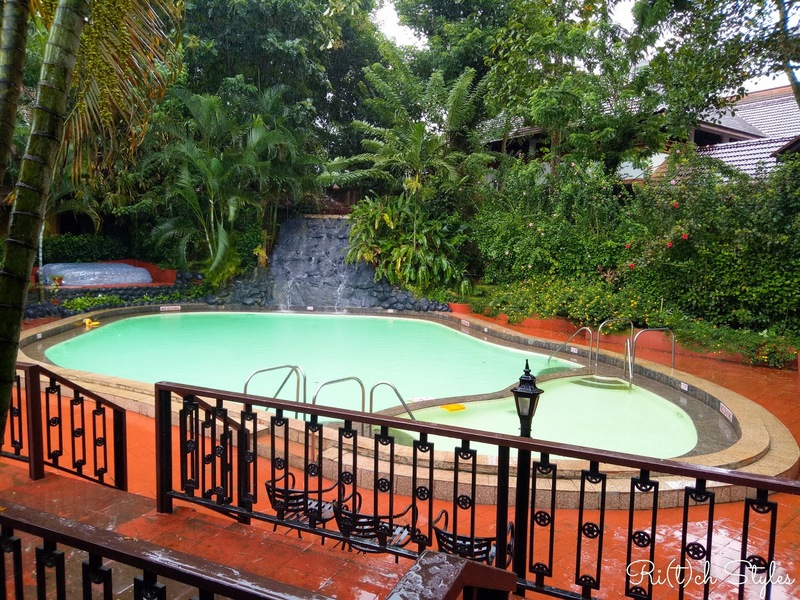 Our room was right by the swimming pool and that made it quite convenient for us as we love getting a dip! After tea we hit the pool which is beautifully set between the cottages and next to an artificial waterfall. Aryaa is a total water baby like me and even though it was a little cold, a dip in the pool totally charged us up for the evening forward. Post the pool we headed to the Activity Centre where the Club Mahindra Theakkady team had all the guests engaged in a high energy dance session. Leading from the front and being followed by big bunch of enthustaistic guests was the Activity Centre head dancing to Bollywood songs. It was an amazing 45 minutes dance session (I joined in a little late), and the sheer excitement and joy in repeating the steps with 30 other strangers in coordination was so much fun. Aryaa meanwhile had discovered the ball pool and she immersed herself in there. From the swimming pool to the ball pool, she was having a ball of a time! PS was looking after both his girls with the camera in both hands clicking away to his contentment. A swim and dancing and play had famished us completely, so dinner was all that we had on our minds! 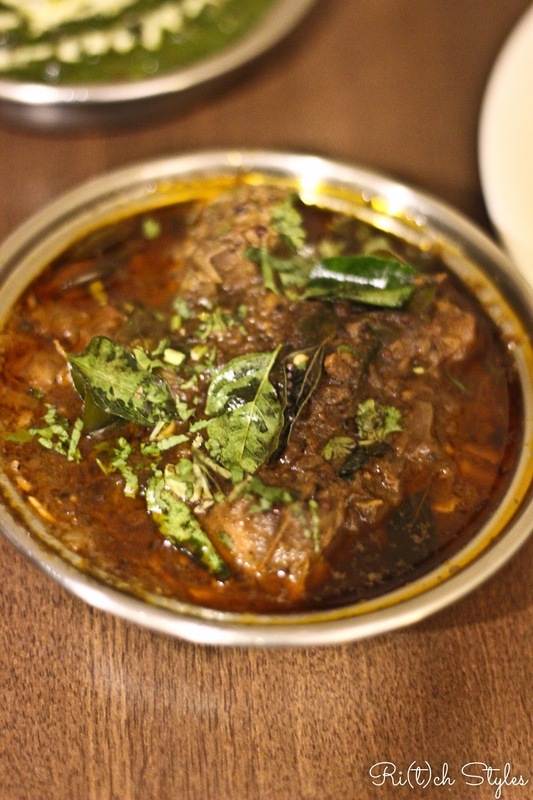 At Thekkady too we decided to try Gourmet Express, Club Mahindra's in-room dining for dinner. 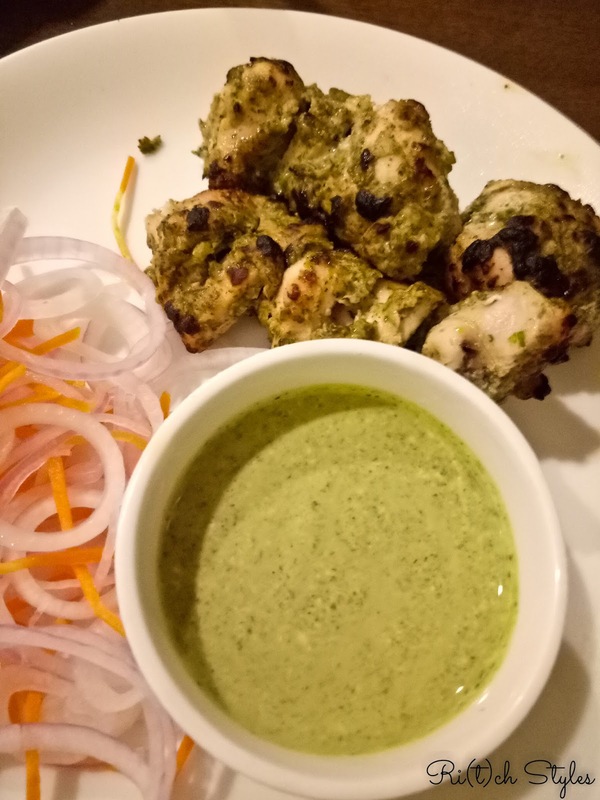 However we requested for service to be done the restaurant style with the food plated and all as I wanted to get my shots. We tried Moghlai as well local cuisine and let me tell you, all the food be it vegetarian or non-vegetarian was lip smacking! 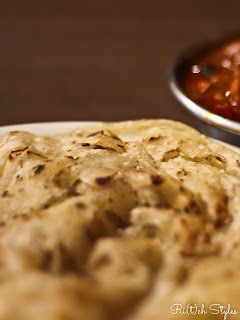 The Kerala parathas were super soft! We crashed totally tired and couldn't believe that we had packed so much into a single day. Thekkady was going to be less than a 24 hour trip but a totally worthwhile one. The only thing we couldn't do was the famous Periyar Bamboo rafting but then afterour experience there, we were sure someday we would be back again. 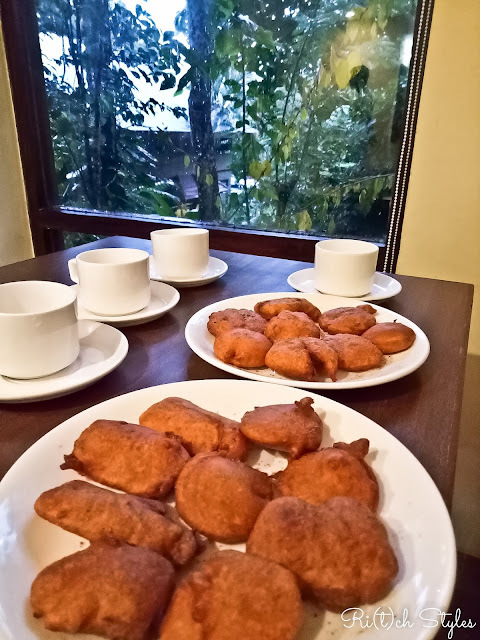 Next morning we indulged in a really light breakfast, as we had a road trip ahead of us to Kochi to catch our return flight. 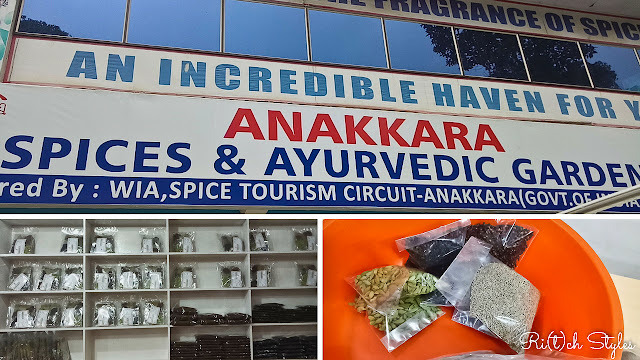 With this our stay at Thekkady ended but not before I picked up some spices from the Government certified Anakkara Spice and Ayurvedic Garden. Gods own country has so much to offer. The food, the views and most importantly the spirit of people, always welcoming with a smile. That is what we took back with us, pleasant memories of everything! 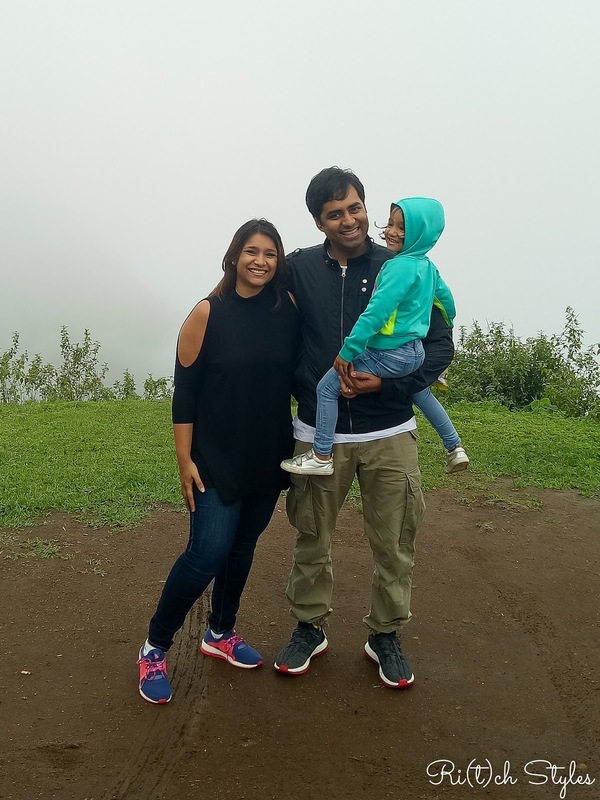 We owe a huge thanks to Club Mahindra for making it one of our most #MagicalMonsoons, and I reinstate that a Club Mahindra membership is what each one of us should have. My experiences in the past 10 years have only been positive! Looks fabulous . We went to thekkady for our 10th anniversary. Time to visit again. Club mahindra looks like a good bet for next time. I loved the pictures.It sure looks like you had a great time. Looks like trip was real fun. Loved the pictures. I had been to ooty and stayed with club mahindra. It was awesome. Enjoyed reading your account. A fabulous trip you have had which is wonderful! to exploring yor web page again. How to Style Palazzo Pants!